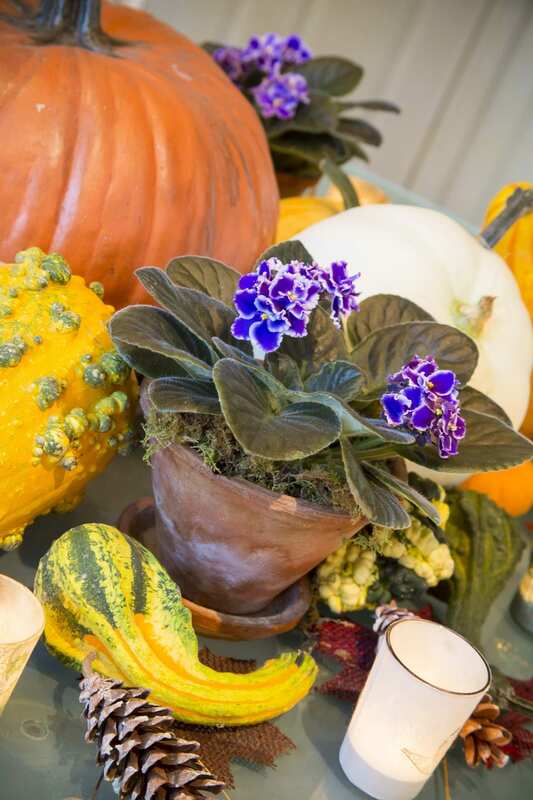 For example, here I took a blooming violet—one in just the right hue—plunked it into a small, aged terra cotta pot, and nestled it among all the usual suspects for my fall table. One vital note of importance here: scale. The violet plant itself doesn’t overwhelm, yet its color transcends. 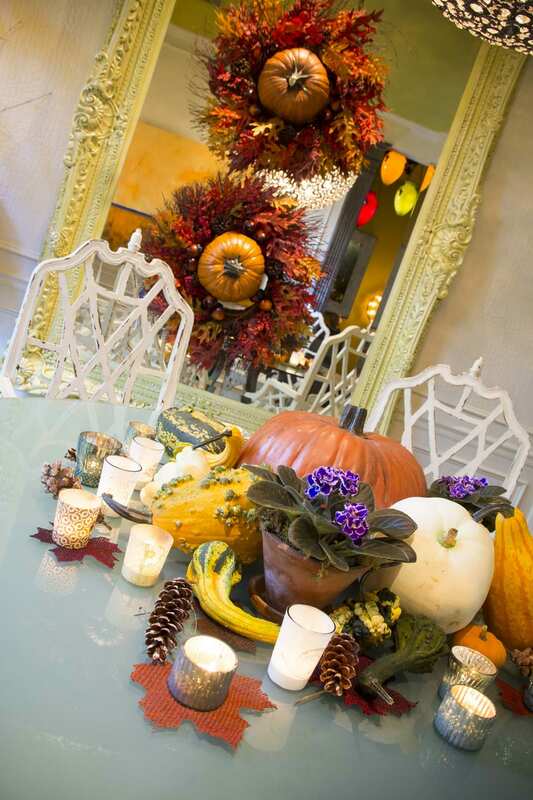 Here you see not just the table, but also the seasonal display mounted on the mirror. You don’t have to move furniture out or rearrange to get the look you want. Just incorporate the decor into what’s there. 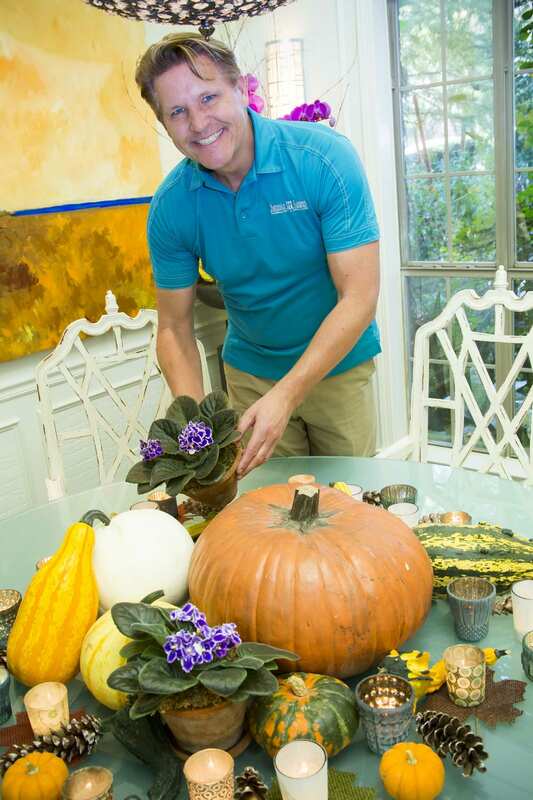 The mirror mounting uses the ubiquitous pumpkin, but the modest violet is the exclamation point below. And don’t forget to use light in your design. 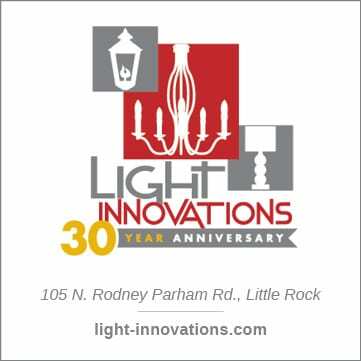 Redirect any existing lighting you may have and use as many votives as your design will allow. Since you’ve succeeded with one shade of purple, now try another, like the pop of phalaenopsis here. Orchids are great additions, like violets, because they’re hardy, and won’t drop blooms every time you move them. (Violets and orchids get a bad rap. These plants can last for years and, once they find their best location in your house, they bring lots and lots of color.) 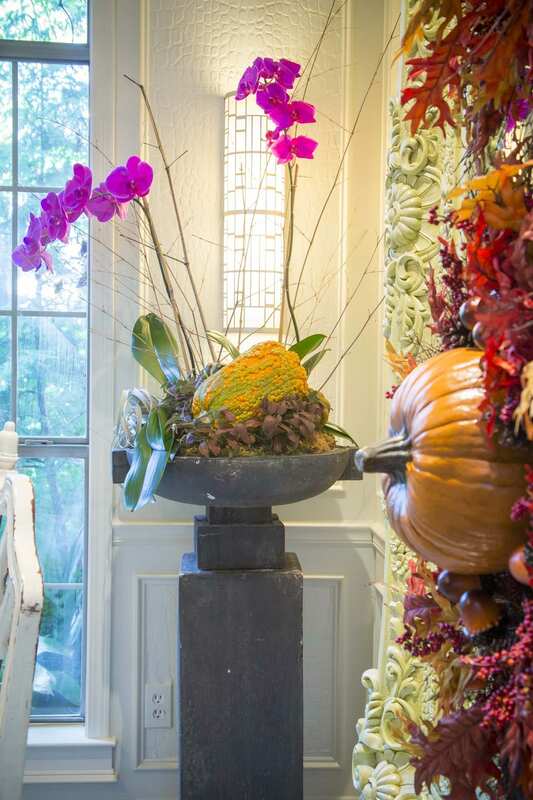 The phalaenopsis get into the seasonal act by being mounted in an urn with a matte finish, and having a squash and small seasonal plants placed alongside. 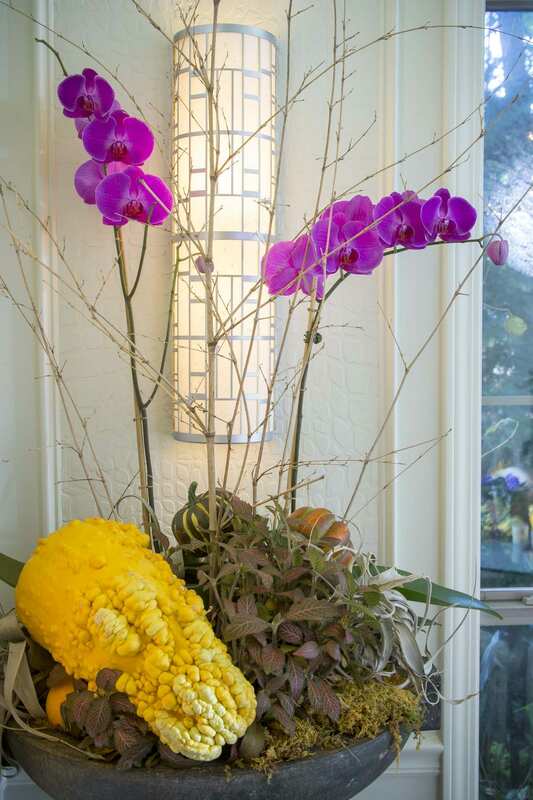 Orchids and squash? Not what you would normally think of pairing, but once you’ve done it, you’ll love it. Assembly is easy. Bring in everything you think you’ll need and start placing it all around. Remember your elements: texture, scale, and color. I typically don’t come with your design, but I’m happy to help you put it all together. One last shot of that great color from the orchids. 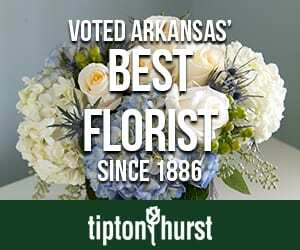 You can easily take the spare, almost architectural, aspect of the arching blooms and paddle-like leaves, and inject all the other points that are reminiscent of the season. I used that great warty squash, variegated plants that don’t compete with the orchid, dried moss, and spikes of long-dead bamboo. And, this idea can be repurposed for other seasons and other holidays. I have a thing for orchids and African violets. I think they’re real workhorses and I know what I can expect from them. Maybe another blooming plant resonates with you. But if you want your design to take another step, then try injecting an unexpected color or element. Great design doesn’t take much more than a little bit of thought and not being afraid to try something new. Even if it’s nothing more than a shot of color, like that provided by a simple little violet.